Should You Watch the Real Estate Market? Real estate is an ever-changing landscape, no pun intended. It can be hard to know the best time to invest in any property. The fluctuation of house values and mortgage prices can be difficult to predict as well. Usually, when one of the experts says with finality, “This is definitely the bottom of the market,” it drops a little more afterward. In light of this, how can a beginner real estate investor know with certainty that it’s best to purchase a home right now? While the market is important and it does affect your purchase price, you really need to take a look at your own financial situation to get this answer. Is your income steady or does it vary often? Can you determine how much you have coming in each month or does this depend on the actions and decisions of others? If you can establish a financial baseline, then you have a reliable dollar amount. This gives you a number to approach the bank with and start the loan process. Anything above and beyond that amount can be considered a bonus and you can decide how to use it at that time. This base financial figure should also be used to establish what you can afford to pay each month. Don’t depend on bonuses or unexpected financial windfalls in order to make your house payment. If you know for a fact that you can afford your mortgage payment regularly, it gives you financial security and peace of mind. Once you’re on level ground financially, take a look at your loan options. Interest-only, balloon payments and adjustable-rate mortgages all have different pros and cons. To find out which of these best fits your needs, make an appointment with a loan officer. They evaluate your financial situation and make professional recommendations based on your purchase goals. It is important to pay attention to the real estate market, but it’s not the only tool you should be using. 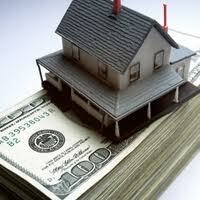 Anyone can make a profitable choice in real estate, if they understand how to use their money in the first place. Figure this out and then you’ll purchase your home at just the right time for you and your family. This is filed under Real Estate Investors.